The ultimate combat simulator. 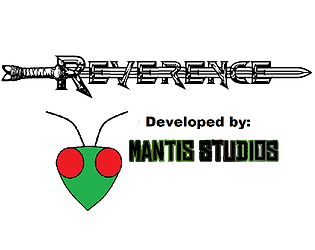 Reverence characters are entirely physics based, attacking and reacting to hits as they would in the real world. There are no attack animations or parry/block animations - you move your arm the way you want to. If you strike your opponents sword it will move accordingly, potentially setting you up for an opening. Damage is also completely based on the velocity of a swing, and rather than health points you are killed if you sustain a killing blow or lose enough blood to pass out. I will continue working to enhance the realism and extend boundaries of Reverence, while also striving to maintain intuitive controls and competitive gameplay. Note: Bots are currently for testing purposes only and are not very intelligent. The focus of the game is multiplayer. Reverence has been my life the past 6 weeks and I look forward to developing it. Additional Note to Jurors: P toggles First/Third person when not using Oculus (Not included ReadMe). http://MantisStudios.com - may be down temporarily sorry.